In order to track a child's health, you must always be vigilant of his body weight. Weight is important due to the high percentages of childhood obesity in today's population. According to the National Library of Medicine, obesity means having too much body fat. It means a person's weight is greater than what is considered healthy for his height. The average body weight for children depends on their height. If your child has a small stature, he should have a lower weight compared to average. The Centers for Disease Control and Prevention, also known as CDC, in conjunction with National Centre for Health Statistics and with direction from the FNS Supplemental Food Programs Division created charts to assist in the tracking children’s weight. The initial chart set done by the CDC was done in 1977. The charts were then revised in 2000 to account for larger data sets and more advanced statistical analysis. All of these chart sets have separate charts for boys and for girls. All of them can tell you if your child falls within the average range. Weight is a significant factor in your child's health. If your child is severely underweight, she might have absorption problems in her intestines, or some other issue which would have to be investigated. If your child is above the average weight, she could be considered obese. Obesity can cause serious health issues such as high blood pressure, depression, eating disorders and diabetes. KidsHealth.org says that the obesity rate in children ranges from 12.4 percent to 17.6 percent, depending on the child's age. There are several types of charts you can consider when trying to figure out if your child falls in the average range. There are charts for the age categories of birth to 36 months, ages 2 to 5 years and ages 2 to 20. These charts measure weight, head circumference and height. There are other charts that simply show the weight for stature and still another for the Body Mass Index, also known as BMI. According to the CDC charts, the weight of boys from birth to 36 months is 8 lbs. at birth to 31 lbs. at 36 months. For girls this age, the average weight ranges from 7 1/2 lbs. to 31 lbs. In the next age category, from 2 to 5 years old, the average weight for boys is 28 lbs. at 2 years to 40 1/2 at 5 years. The average weight for girls in this age category is 26 1/2 lbs. at 2 years to 39 1/2 at 5 years. The next age category is from 2 years to 20 years. The average weights for boys in this age category range from 28 lbs. at 2 years, to 57 lbs. at 8 years, 114 lbs. at 14 years and 156 lbs. at 20 years of age. The average weight for girls in this extensive age category is 27 lbs. at 2 years, 57 lbs. at age 8, 108 lbs. at 14 years to 129 lbs. at 20. There are other numbers and alternate charts one can consider when looking at your child's weight, trying to see if your child is in the average range. There is the weight to stature chart. This chart is written in metric measurements. An example would be for a boy that is 35 1/2 inches tall; his average weight would be 30 lbs.. If a girl were 35 1/2 inches tall, her average weight on the chart would be 28 lbs. Another chart and number to consider is the BMI chart. Body Mass Index is the relationship between a person's weight and height. According to the CDC charts, the average BMI for boys is 16 1/2 at 2 years, to 23 at 20 years. 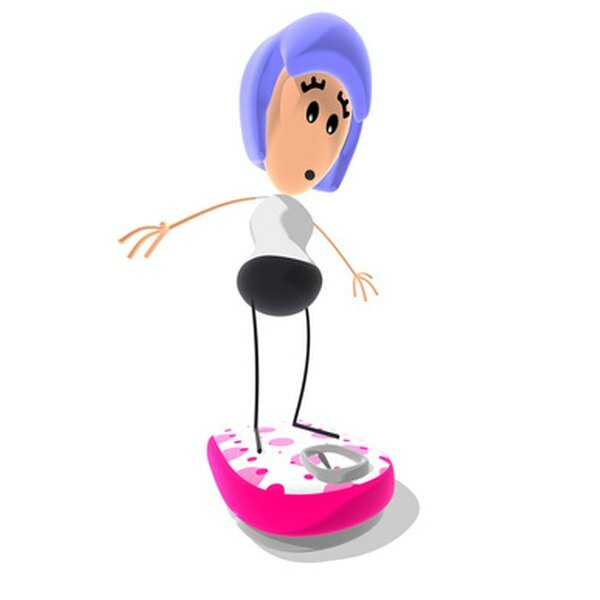 The average BMI for girls is 16 1/2 at age 2 to 21 3/4 at 20 years. Laura Gagnon has be writing since 2008 and has several articles published online on varying topics including leadership, motivation, grief and depresssion. They can be found on such sites as bizcovering.com, socyberty.com and healthmad.com. While researching, Gagnon also relies on her own life experience and knowledge gained through her bachelor's degree in psychology, from Carleton University.